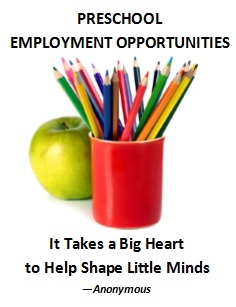 International Child Resource Institute (ICRI) is currently accepting resumes from experienced Early Childhood and Infant/Toddler Educators for teaching positions in Palo Alto. ICRI provides highly sought-after preschool and infant/toddler Emergent Curriculum programs, based on child-directed, Reggio-inspired and developmentally appropriate practices.We are looking for individuals who can enhance our programs with their unique talents and gifts. ICRI provides a team environment where teachers devoted to the field can learn and grow, as well as an exceptional salary and benefits package. Resumes will be accepted via email at megan@icrichild.org. Please include a cover letter and "Early Childhood Teacher" in the subject line.